Now Tatum has proven himself to be a viable star, appearing in big budget films like 21 Jump Street and 22 Jump Street, but has also shown us he can do something a bit more grounded and humanistic like Magic Mike. With studios building the franchises as shared universes, one of the biggest concerns for Fox is if Tatum will sign on to appear in more than just the generic trilogy (if that is even the plan), and make an appearance in films outside his own, like the X-Men films or maybe even Wolverine, Deadpool, and Fantastic Four. 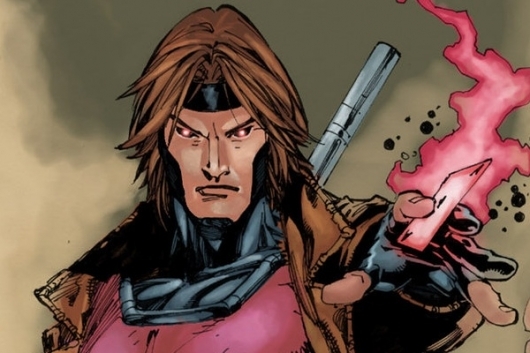 The studio believes that Gambit is one of the anchors of the X-Men universe, so signing him on for multiple films is crucial. Going off previous reports, it doesn’t seem like Tatum will be a part of any of any of the X-Men films currently in production. But that can all change at any given notice. Filming is expected to start this fall. Tatum is the only one confirmed for a role, but Lea Seydoux (Spectre, Mission: Impossible – Ghost Protocol) is in talks for a mysterious role. Rupert Wyatt (Rise of the Planet of the Apes), will direct Gambit, using a script written by Josh Zetumer, based on a treatment by Gambit co-creator Chris Claremont. Tatum, Reid Carolin, Lauren Shuler Donner and Simon Kinberg are producing. Gambit hits theaters on October 7th, 2016.